Chris will help you progress through any of our online running programs even conquering the advanced & elite levels should you wish to sign up for these. As you make your way through, you may have questions and feedback that Chris will respond to. His ability to work in with your lifestyle, work and family commitments and location means that you can stay on course to complete your goal event whilst allowing for some flexibility from week to week where required. 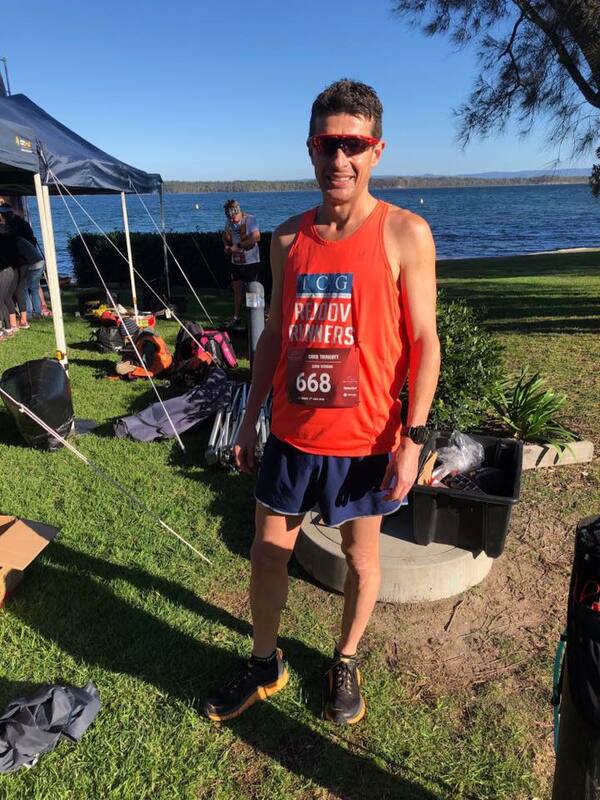 Chris is a highly experienced running coach for all levels for our online running programs and running groups (Athletics NSW Level 2 Coach). 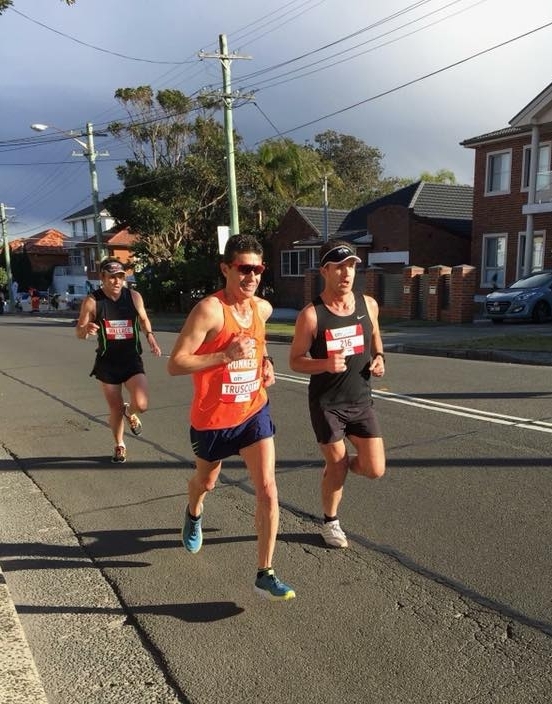 He has a successful and broad history in running, which began at the tender age of 6yrs old with his first trophy coming in the under 7's Hornsby Cross Country carnival. Throughout his school life, Chris competed in many State championship events but kept a good balance with many other sporting and academic pursuits. It wasn't until university that Chris decided to become a little more serious, increase his weekly training schedule and pursue some longer events. Chris has a long affinity with many of Sydney's iconic running events. He first completed Sydney's City to Surf when he was just 9 years old, running through in 63mins. In 1987 at the age of 13, he ran 53mins and he has competed in every single City to Surf since with a PB of 45:41. Even now at the age of 40, Chris ran through the 2014 finish line in 46:30 coming in the top 30 places. Chris's first marathon was in the 1993 Melbourne marathon. We're not sure why he was so keen to start running marathons at the age of 18, but he loved it and was happy to finish in a 3:13.26. He was also now hooked to this new grueling event. Chris has gone on to compete in 22 marathons including Berlin, Chicago, Rotterdam, London, Tokyo and local ones - Sydney, Gold Coast, Melbourne & Canberra with a PB of 2:29:44 coming in 2001 in one of his four Berlin finishes. All his subsequent marathon times since debut have been under 3hrs. Chris has managed to maintain his longevity with running via a balanced approach to life and to the sport. In 2007, he along with wife Greta, represented NSW at the National Cross Country titles in Perth before travelling to the lovely Margaret River wine region. Whilst the race didn't quite go that well, the post race holiday made up for it. The real enjoyment for him lies in the social bonding that running creates and the thrill of the challenge in the many races & training sessions throughout each year. Chris sets challenging pursuits but couples these with a healthy dose of the social. This social aspect has led to many friendships and coaching relationships and he values the reward in seeing others achieve what they thought wasn't possible. Even now at 43yrs old, he continues to compete across a wide spectrum of events. Whether it's a 5000m track time trial, 10km road race, half marathon or marathon, or a 100km trail or road race, Chris ensures he is as ready as he can be given the balance life requires. He competed in the 100km World Champs in Qatar coming a respectable 41st from 221 starters in Nov 2014. He came 8th in a world class ultra trail field in the Tarrawera 100km, NZ in Feb 2015. Six Foot Track best place silver and time 3.33 in 2005. Proudly sponsored by New Balance from May 2007-2016 & thrilled with our new sponsor Hoka One One from 2017. There seems to be no stopping his desire to challenge himself and others. coach Chris 100km World Champs Qatar coming a respectable 41st from 221 starters Nov 2014. Chris won the soft sand mile at Bondi Splash n Dash Nov 2017. Greta is an extremely well equipped coach to assist runners of all levels with her background in coaching, athletics, triathlon, sports massage and occupational therapy. She understands the balance required across all ages and stages of life. She is our head online running program coach together with Chris and also leads the Rejoov Runners groups in the Eastern Suburbs, Sydney. Greta has broad qualifications in health and fitness (including Athletics NSW Level 2) and has been strongly involved in competitive sport for 20 years. She sustains a holistic focus and utilises best practice methods in sports medicine on how to get the most out of your running performance. Methods such as sports massage, strength and stretch techniques, running training and programs and referral where appropriate. Greta is a national level distance runner in the 10km distance on road and track and also specializes in soft sand & trail events. She has proven to be a Swim Run specialist in 2017 winning NZ's Brecca Wanaka Swim Run and Swim Run Australia. Proudly sponsored by New Balance 2007-2016 & thrilled with new sponsor Hoka One One from 2017. Greta knows all too well the importance of good trainers / coaches / therapists. After serious knee and back injuries following horse riding falls - knee surgery at 17 y.o., and tremendous physio rehab & core stability work - Greta was able to commence competitive running in her twenties. Some of Greta's pbs and event highlights include 36.46 Launceston 10k, 54.27 Sydney City to Surf, 82.59 Gold Coast half marathon, 3.04.20 marathon debut Berlin, 2nd in Coastal Classic, 4th in Six Foot Track, 3rd in 3 Points Challenge, winning the Bondi Barefoot 4k five times, winning the Equaliser 15k trail race and Great Nosh Footrace 15k, 2nd in an elite field at the Sky26er (32k) Oceania sky running champs at Mount Buffalo April 2015, 1st in the Sydney Trail Series 20k at Manly Dam and 1st in the Sharks 10k & Maroubra Fun Run 8k. Greta is looking forward to many road, sand, trail, sky races and track events to share in the excitement with everyone. Greta has been a running specialist & running program writer on the support crew for Michelle Bridges 12 Week Body Transformation (12WBT), online nutrition, exercise and mindset program from 2012-15. She has helped thousands of people learn to run and achieve marathon & ultra distances. Let's go team, happy running & happy cooking. 2nd 30k Coastal Classic 2018, Royal National Park, from Maximum Adventure: "Katie Conlon finished over 8 minutes clear of the tight tussle for 2nd with Greta Truscott holding off Bronwyn Hager by 8 seconds… it was the quickest podium in the history of the event".